It was a bold and brave commitment, which Mark Belissimo and his Board of Directors at Tryon International Equestrian Center in North Carolina made, to host the FEI World Equestrian Olympics at the newest and largest equestrian center in the world. 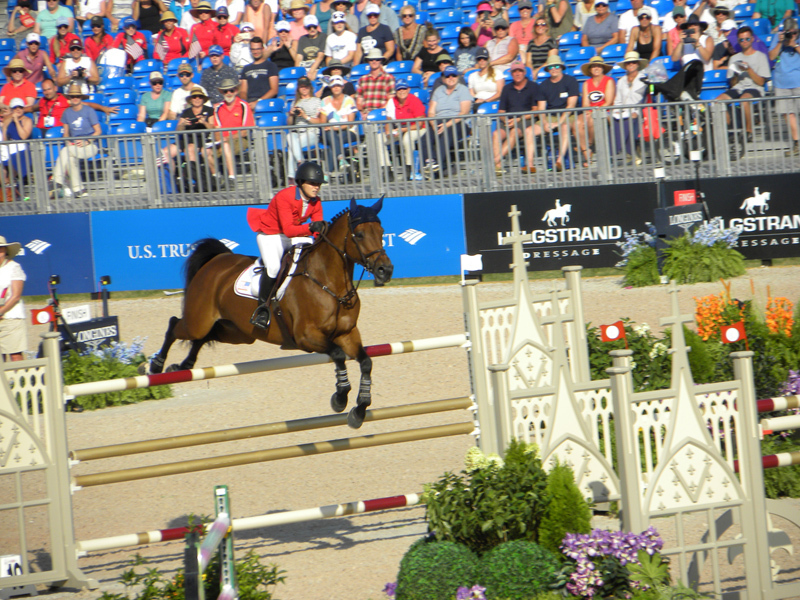 Bromont Equestrian Center in Canada had been the designated place to hold the FEI/WEG in 2018, but because of financial problems they had to cancel in mid-summer 2016. Tryon Equestrian Center in Mill Spring, NC, was in its early stages of development with some beautiful, state-of-the-art stables and arena facilities in place, but many of the planned buildings, including more arenas and barns, hotel, restaurants, and shops were not completed. The directors received commitments from the small local community and builders to work diligently to make this huge project a reality in time for the World Olympics. 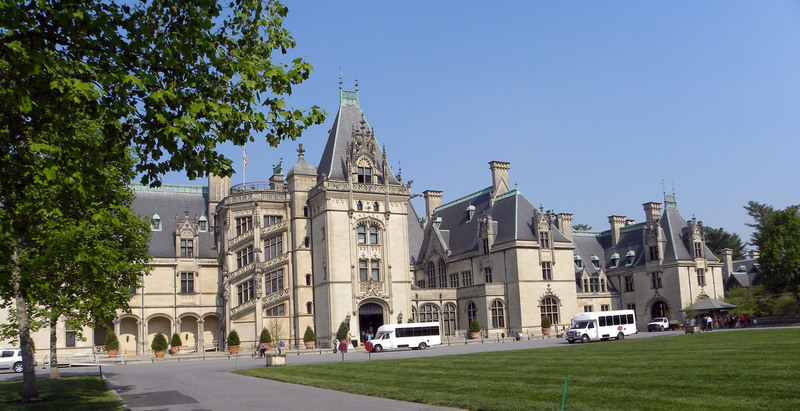 It would be the opportunity to showcase their little area, located in the foothills of the Blue Ridge Mountains close to the North Carolina-South Carolina border, to the forefront of tourists and equine devotees around the world. 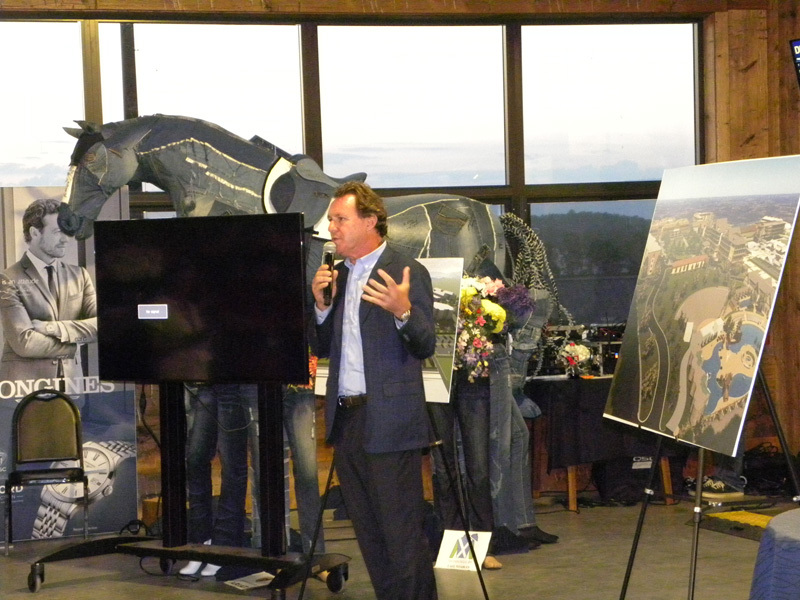 Bellissimo is managing partner of the four-family Tryon Equestrian Partners, developers of the 1,500-acre center, which opened in 2014. He is also part owner of equestrian operations in Colorado and Florida. At Tryon the initial $200 million investment would require another $200 million commitment within two years to complete the plan. The partnership also created U.S. 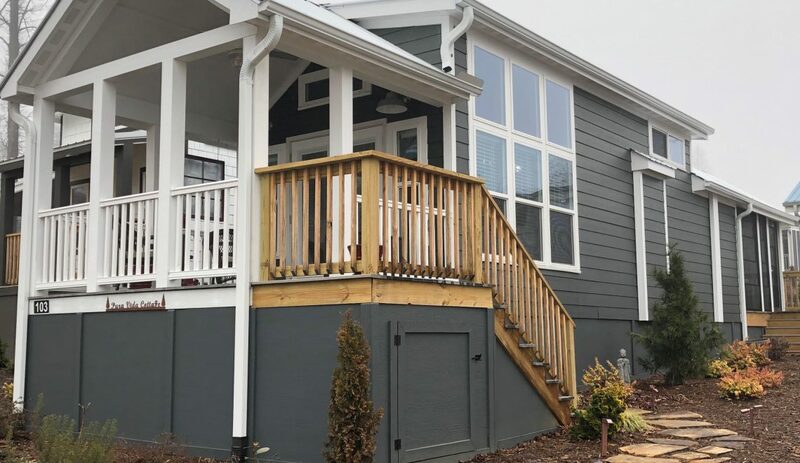 Precision Construction LLC, where about 20 robots and 50 workers began making modular structures to become hotels, retail buildings and offices to create a rural economic cluster based on the equestrian lifestyle. Mark knew that the nearby Ecusta Paper Mill, which had employed over 600 highly paid workers and was suddenly shut down, had left the area with high unemployment and financial devastation. The partnership put people back to work for living wages. This resulted in good will and help from the extended community when they were needed in the crisis that followed. Since the Belissimo family all love horses, what greater idea than to make this equestrian passion available to all people, regardless of financial status? That dream had already become a reality, so at Tryon, Mark was fulfilling his dream of making every day equestrian events free to every guest who wanted to enjoy and learn about horses! The Center had already become a one-of-a-kind favorite place for families, especially on weekends for the wonderful horse and rider competitions and amazing activities for children of all ages. Legends Club was hosting delicious dinners for Saturday Night Lights and other events. Now the intention he and his partners had was to make this the best Equestrian Center in the world, and to showcase it with the World Olympics, 18 months away. A very bold and brave commitment! The world was watching! 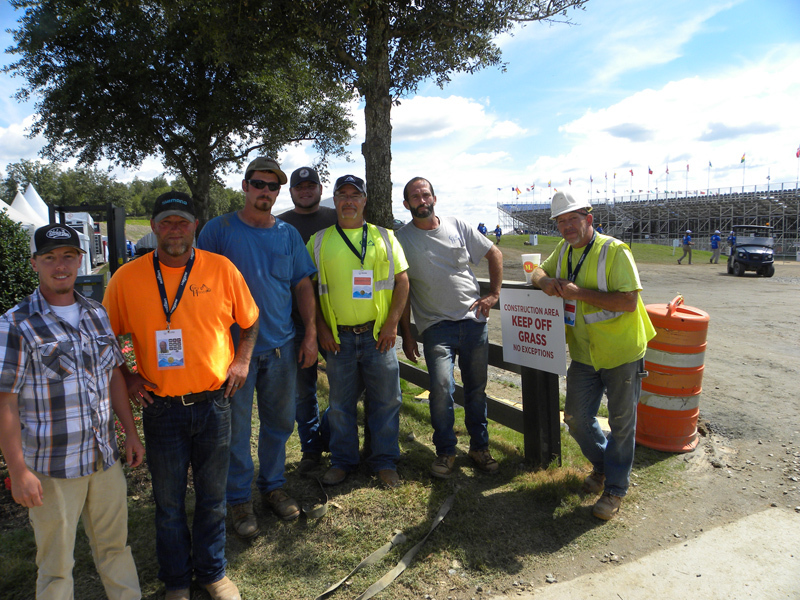 With architectural drafts, land purchases, financial commitments, inner roads, electrical, and plumbing already in place further construction began almost immediately after the FEW/WEG committees did all their inspections of Tryon Equestrian Center and approved the location for the World Olympics 2018. It was predicted that this enormous event would bring during the two weeks of the events a half million participants and visitors from around the world to Mill Spring, this tiny mountain area, so local governments, highway builders, and FEI officials in France had to approve and also be committed. It was an exciting time, and in 2017 the progress was fast and steady, with even a state highway exit and access road being built. More restaurants and local vendors at the Center were open, and Tryon Equestrian Center became a favorite for entertainment and family fun for the surrounding area residents and thousands of tourists who would come to the nearby towns of Charlotte and Asheville, NC, and Greenville and Spartanburg, SC as the 2018 September Show approached. 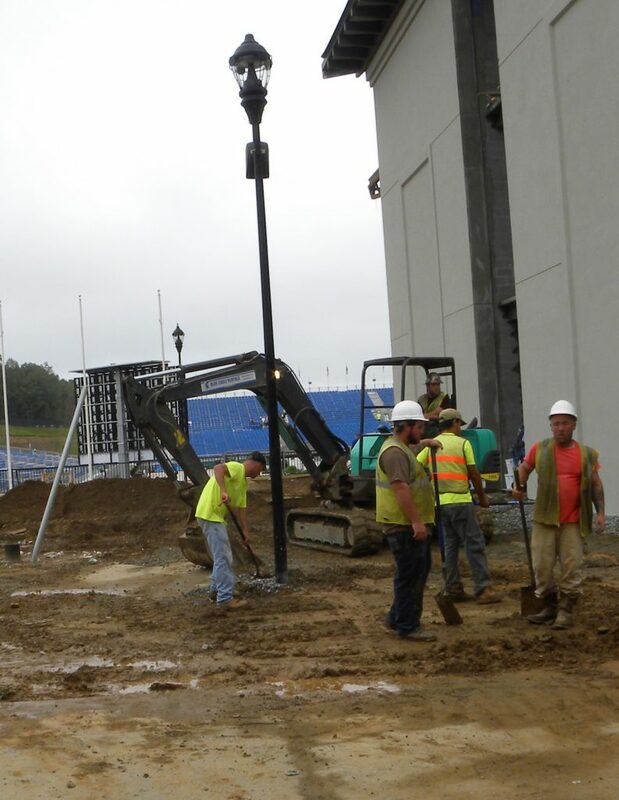 The 2018 year began well as construction continued for the exciting September big event, but in early spring Mother Nature decided to interfere! Although the FEI committee had studied the normal weather patterns of the area, 2018 wreaked havoc with all the careful plans. Nearly 20 inches of rain in the last half of May flooded the Green River nearby and it rose higher than in recent history, with landslides and fallen trees and power outages forcing a section of the main highway 26 to be closed temporarily. For most days normal events at TEC continued, often even in rain, but the huge parking lots became mud-pits. Since the rains were daily for weeks, the area could not dry-out enough for foundations and roads and parking facilities to be paved. Reservations for FEI/WEG had been made by people all over the world and hotels in nearby cities had been fully reserved since January. Visitors who came for the horse events and family fun in early summer shook their heads and predicted there was no way to finish the construction on buildings, roads, hotels, stables in time. But the construction workers became even more dedicated and worked day and night wherever and whenever weather permitted. The commitment of all involved in making it happen continued as they worked around the clock through the better, but not perfect, summer weather and accomplished a MIRACLE! By September, even though many participants and visitors had cancelled their reservations in fear the event was hopeless, horses and riders began arriving. Horses are the most important and valuable participants and had to be protected by strict US Department of Agriculture health rules, so those equines coming from South America and the Middle East had to be quarantined for up to three weeks. Those coming from Europe all arrived at the GSP airport in South Carolina and were trucked to TEC for a few days of quarantine. These top horses in the world were valued at multi-millions of dollars. Several special planes from Emirates Sky Cargo brought over 60 four-legged passengers in one plane, along with their tons of equipment such as saddles, bridles, feed, hay, water! We live near the airport and were amazed as horses flew over our house! 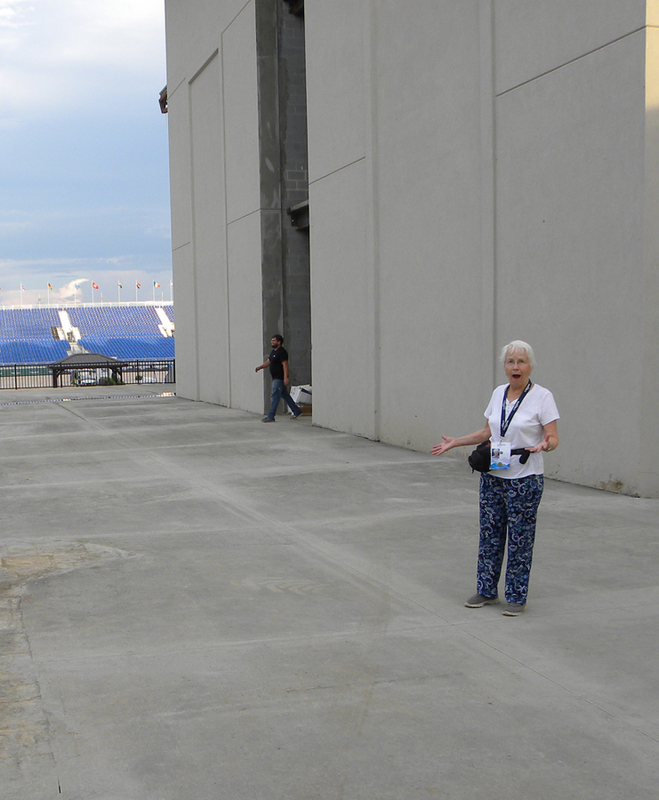 The day before the Opening Ceremony of the Games was designated for Press Media from all over the world to register, but wicked rains just the week before had prevented some buildings from being completed. Substitute road access, parking lots, and Media Center had to be arranged with tents and golf carts to transport press members to the Legends Club. But still we were graciously served all our meals. The Media Building was only a shell and we watched as doors and windows were installed that day, but we were informed that the building would not be ready for the Opening Ceremony the next day. Inside the building tons of construction items were stored. 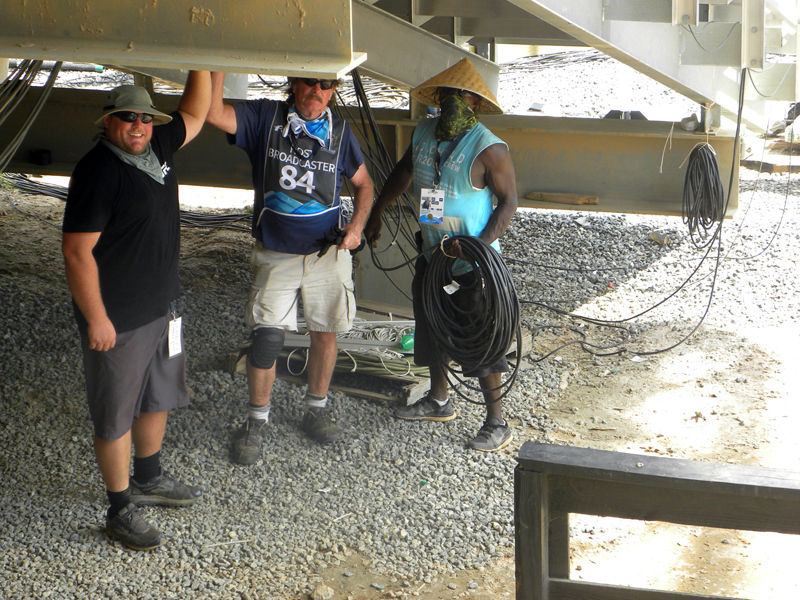 We felt so sad for those who had worked so hard, but our make-shift accommodations were convenient and well-run. Twenty-four hours later, when we arrived for Opening Ceremonies, the Media Building was not only cleared out but ready for us with windows, doors, lighting, air conditioning, WiFi, TV, FAX and copying machines, and phones for filing stories around the world. There was a huge table of delicious food catered for all three meals that day and a large group of administrators to answer all our questions and provide any help needed. The construction workers had worked all night! It was UNBELIEVABLE to witness such commitment and accomplishment! The world surely took notice! 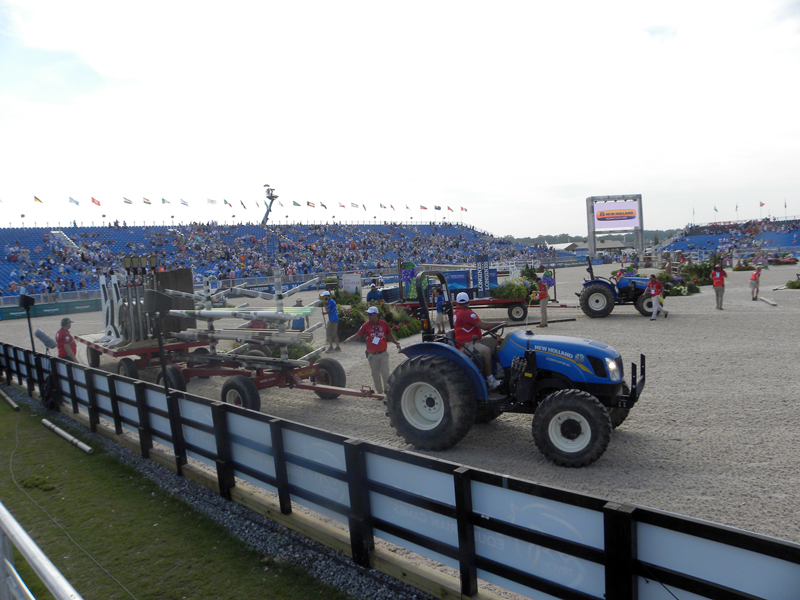 Although FEI/WEG tickets for the world Olympic competition events during the two weeks were expensive, Opening Ceremonies were free to the public to thank those workers and their families for making it possible. It was quite moving to see a participant from each of 68 countries lining up side by side and carrying his or her country’s flag as each was announced and welcomed by “Uncle Sam,” the MC. Our world could be this cooperative at all times if we just try a bit harder. 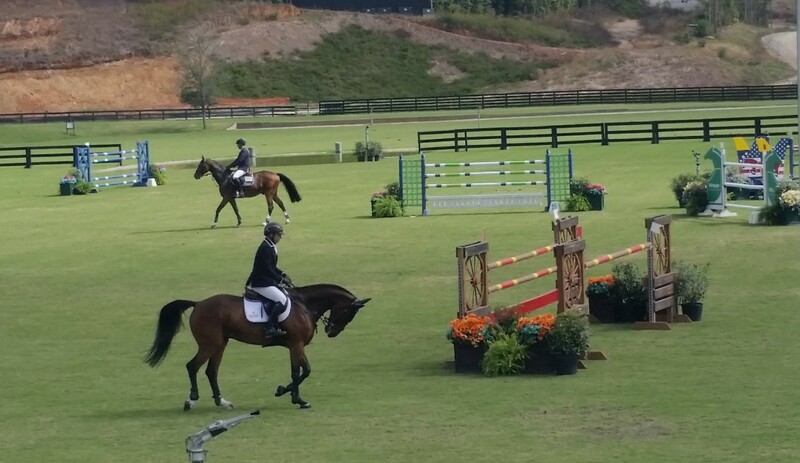 Perfect conditions at the Tryon Equestrian Center for the 2018 World Equestrian Olympics, in spite of months of torrential rains. Located in Mill Spring, Polk County, the venue has 1,200 permanent stables, numerous retail boutiques and multiple arenas, including an international arena. Now a village is being built near the center with houses, shops, hotel, and other activities.